Lady Jane and Simon Dominic are definitely not strange names if you have been a fan of Korean music, especially Korean hip-hop and R&B music in the later 2000s and early 2010s. Simon Dominic is famous as a member of the rap and hip-hop duo, Supreme Team, that has defined the Korean hip-hop landscape since the late-2000s. With hits, such as “Dang Dang Dang” and “Super Magic,” the influence he has gotten from the underground scene, as he was active as an underground rapper beforehand, was quite evident. Similarly, Lady Jane started out as a singer in an indie band, where she earned the nickname Hongdae’s Goddess, as the band often busked around the Hongik University area. The spot is very famous for buskers, but Lady Jane definitely set herself apart and decided to take a different route in 2009, parting with her initial band. Sadly, at the time, her name gained popularity not due to the fact that she has an astounding talent for singing, but due to her relationship with the then notorious rapper, Simon Dominic. Their love story was indeed not like anything coming out of a romantic comedy, with twists and turns that definitely surprised both the fans and the public. Their relationship was famous for being one of the only couples in the limelight at the time, with very incriminating evidence to match, such as pictures of their dates and PDA at a friend’s party. They were also quite open to questions regarding their relationship, even after they, unfortunately, broke up. So, are you curious as to how the two got together? Or the troubles they faced while dating? Or maybe the reason they broke up? Let’s take a closer look at Lady Jane and Simon Dominic’s relationship! They started dating in 2007, before the success of the supreme team while he was still an underground rapper. Simon Dominic really risked a lot when he became a rapper, as he traveled from Busan to Seoul with no money except to cover the costs of his travel. In Seoul, he often stayed at a friends house and could not afford to buy food. This is when his chance meeting with Lady Jane happened, as she befriended him and often bought him food in times of need. The two then got close after spending a lot of time in each other’s company while having a meal. They got together while they were watching a movie and Lady Jane thought about what it would be like to have a boyfriend like how it is currently, watching a movie with Simon Dominic. She suddenly thought of Simon Dominic as a perfect boyfriend at that moment, and when she voiced out her thoughts to him, he was not opposed to it so they started dating. As time went by, Simon Dominic started promoting with rapper E-Sens under the moniker of Supreme Team and started hitting big as they were picked up by the label, Amoeba Culture, known for artists like Primary and Dynamic Duo. Supreme Team rose to fame with the hit songs, such as “Dang Dang Dang,” which became a crowd anthem. This led to Simon Dominic slowly entering the mainstream music scene and getting more attention and acknowledgment by the public. Not only that but along with the increased fame invites to Korea’s hit variety shows and award shows came along, winning a few of the most prestigious awards while at it. When he was starring in variety shows, he was not shy about his relationship with Lady Jane, slowly helping her to increase her fame. This, though, did not lead to a positive outcome. Signs of trouble started to show as Lady Jane’s career was overshadowed by the title of being Simon Dominic’s girlfriend. The title helped her earn some more featuring gigs in other artists’ releases and variety show appearances but none that really recognized her for her talent. This led to the disappointing end of Lady Jane’s music career but was shortly after remedied as she was cast as a Radio DJ on one of Korea’s biggest broadcasting networks. Their relationship was okay for a while more, as the two became one of the most iconic couples in the Korean entertainment industry. As the two were dating for 6 years, in 2013, news reports came out that Lady Jane and Simon Dominic had broken up. These, followed the break up of Supreme Team as E-Sens was brought into custody after suspicions regarding the use of marijuana a year before and after a few months promoting with new songs, E-Sens decided to terminate his contract with the label, leaving Simon Dominic alone. The news shocked most fans and members of the public as the two were known to have a very harmonious relationship. As they have gone through a lot in their relationship, the public just couldn’t seem to figure out the reason behind their break up. The two were not known as the jealous type, as Lady Jane has dealt with her fair share of Simon Dominic’s fangirls. There also has not been talked about them having broken up when looking through their social media profiles and such outlets. So why did they break up? The two revealed the reason for their breakup on several variety show appearances saying that it was due to their different takes on marriage. They do not have any bad blood between them and are still very good friends. At first, the public was very confused and unsure as to how to respond to their break up as it seemed very sudden and looked like it didn’t end well between the two. But in one of the variety show appearances that Simon Dominic did, MBC’s Radio star, he showed that he is still very close with Lady Jane and they are still good friends. The show is known to ask very straightforward questions regarding scandals or issues that involve the guest, thus, it is to no one’s surprise that they went straight and asked him about his very public break up of a very public relationship. He explained his side of the story, of their views just not matching up and even called Lady Jane to show they are still good friends. Not only that, he went on to comment about others having public relationships in another episode. 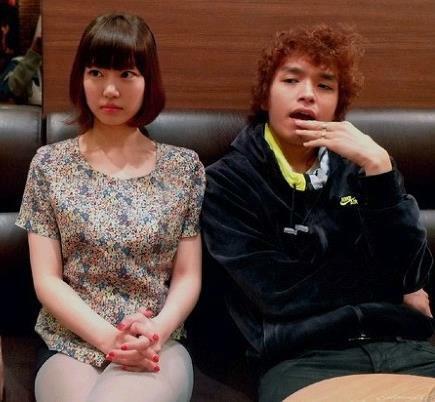 So what do you think about Lady Jane’s and Simon Dominic’s relationship? Comment your thoughts in the section below! Find out Who Super Junior Kim Heechul’s Girlfriend Is and About His Dating Scandal!